These Bronco's just keep getting more and more collectible! This is an older build in good running and driving condition. 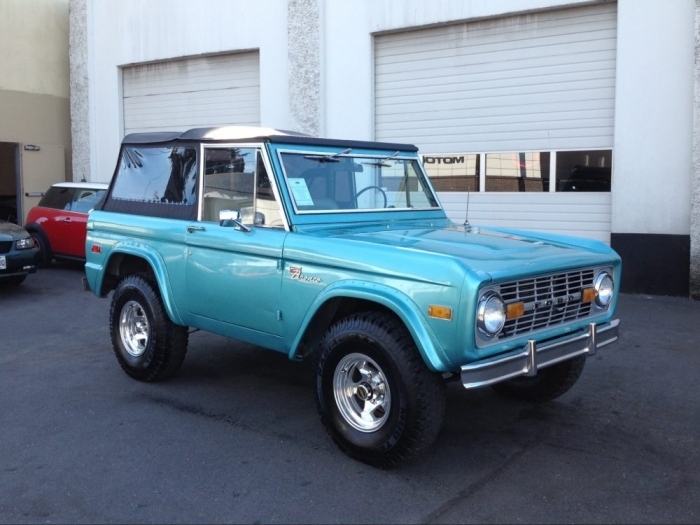 Nice tight front suspension with Power Steering, Manual Disc Front Brakes, Strong running 302ci V8 engine with a single 4bbl carb., Headers and Flowmaster Mufflers that give this little Bronco a great sound! 3 speed manual transmission with a "Duff" floor shifter. Aluminum wheels with 33″ Radial Tires. A Great looking Bronco that gets lots of attention cruising down the street!